?Black-Miao? is another tribe of Miao people. 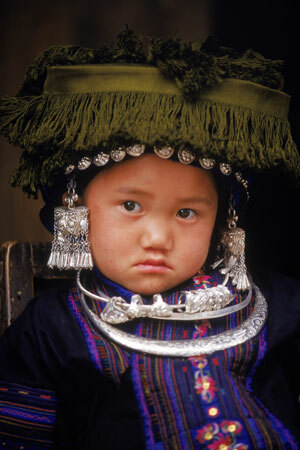 In a remote southwest Guizhou Black-Miao village, the image of this pensive little one was captured, with traditional Black-Miao clothing and silver ornaments on.